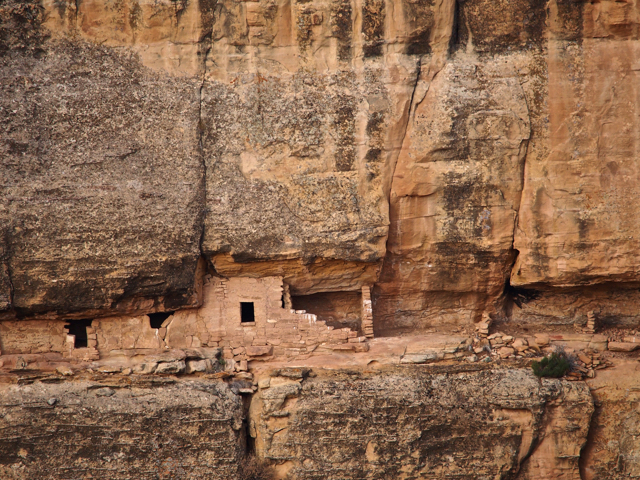 More photos of the Cliff Dwellings at Mesa Verde National Park where the Anasazi or Ancient Ones lived. They entered the rooms by wooden ladders from the top of the structures. 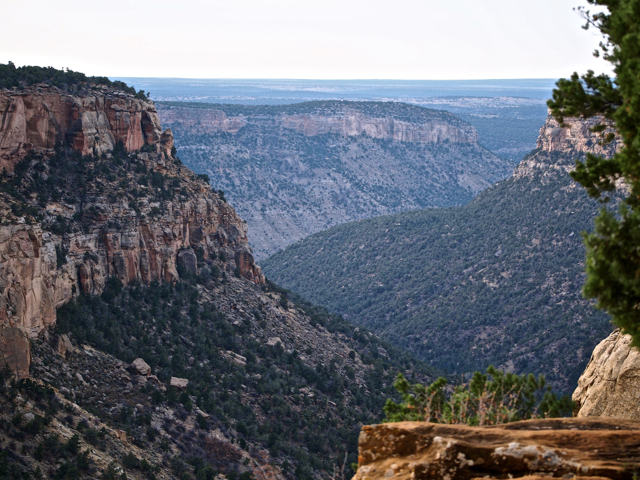 To get to the mesa above, they used rope ladders. 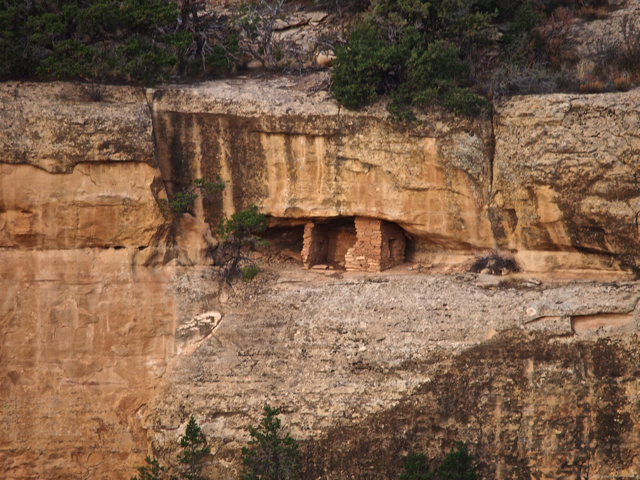 The Anasazi were hunters and gatherers but they also grew corn, beans and squash. 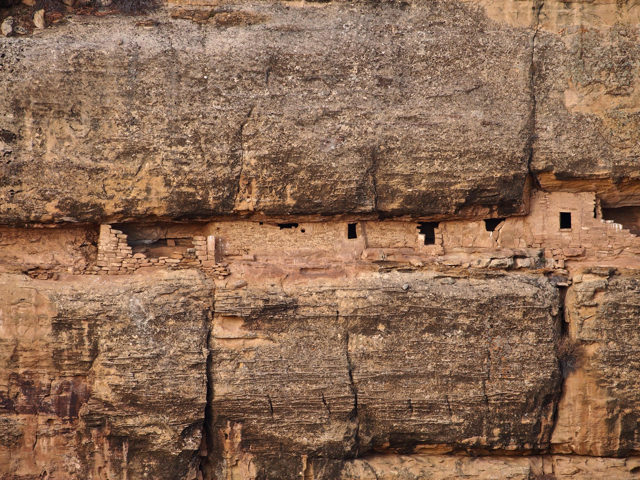 Sometime during the 14th century, they disappeared from these dwellings. Leaving behind many artifacts including woven baskets and pottery. 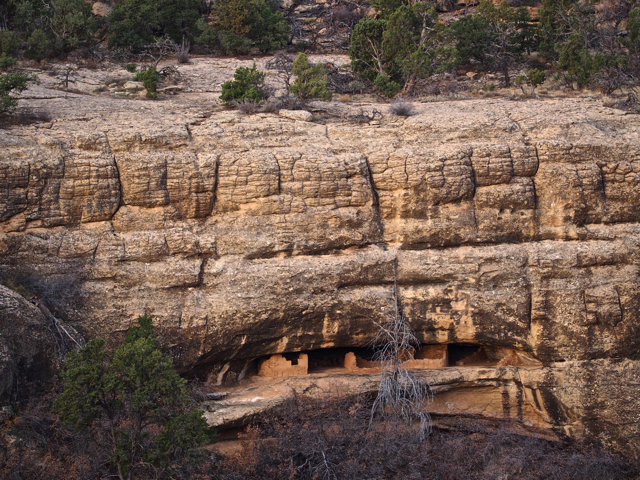 No one really knows what happened to the Anasazi. There is speculation that they went to live elsewhere, or that invaders captured them. 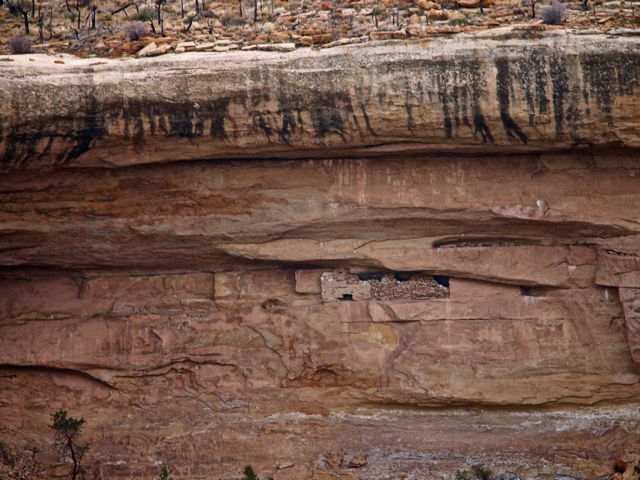 Those in tune with the mystical forces of the Universe believe the Anasazi ascended to the heavens; becoming the stars that shine down upon us from above. This entry was posted in Uncategorized and tagged Road Trips, tincantravelerPhotos. Bookmark the permalink. Amazing – from a distance you would never know there was anything there. Blows my mind how they dug out the rocks to make a little city. What an adventure. It is such a wonder. But then, this whole country holds so many wonders.